Neuralgia literally means ‘nerve pain’. It is any pain that results from pressure or other irritation of a nerve. There may be pain, numbness or both involved. When the nerve affected is the big sciatic nerve that runs from your lower spine, through your buttocks and down to your foot, this neuralgia is called ‘sciatica’. The pressure on the nerve can come from the nerve roots at the point where the nerves exit the spine or lower down in the buttocks themselves. Either way, relief is usually not too far away. Neuralgia to the outside of the thigh or sometimes to the knee. Just about any nerve can get entrapped and squished if you’re unlucky – from your forearm to your elbow, to your foot. If it’s tingly, painful and numb, it’s probably neuralgia. The solution is to find the point of compression of the nerve and to release it. With careful assessment, it can usually be done without having to resort to surgery. Dr Richard offers great expertise across other pain treatment areas aside from the neck, including the shoulders, hips, arms, legs and more. We may also be able to assist you with headache treatment. 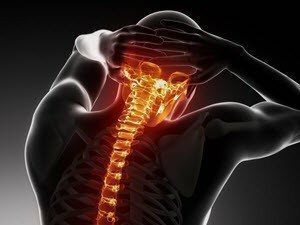 So whether you’re a local resident in Brendale or reside in the neighboring North Brisbane suburbs of Eatons Hill, Warner, Bray Park or Strathpine, be sure to book a consultation at Dr Richard Chiropractic for effective pain relief today.